The apartment is at 150 Sullivan Street in the SoHo neighborhood of Manhattan. A tiny penthouse apartment in New York City is on the market for $750,000. At just 350 square feet, that puts the cost at $2,143 per square foot, which is $370 more per square foot than the Manhattan average. The compact SoHo studio was designed with simplicity and multifunctionality in mind. The space is also tech-heavy, including motorized blinds, energy-efficient light bulbs, Nest security cameras, and air purifiers. New Yorkers are used to paying a lot to live in small spaces. The average Manhattan home costs $1,773 per square foot, according to Curbed. 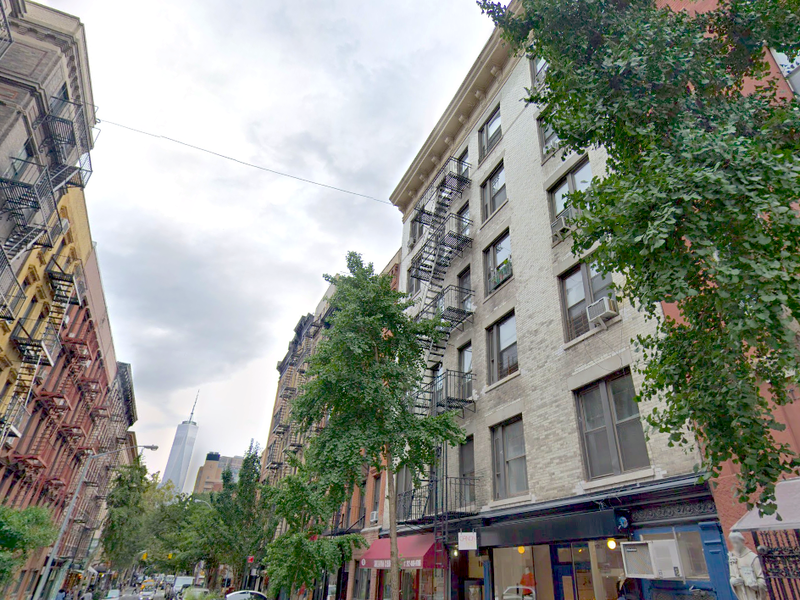 A newly renovated apartment in Manhattan's SoHo neighborhood is on the market for $750,000 - for a space of 350 square feet, which makes the cost $2,143 per square foot. For comparison, the typical American home is 2,687 square feet and costs $216,700, according to a 2016 report from the Census Bureau and data from Zillow. That makes the average price per square feet about $81. The compact New York apartment, which could fit inside the average US home about seven-and-a-half times, was created by Graham Hill, founder of lifestyle and design company LifeEdited and advocate for minimalism and living with less. "...The houses I design contain less stuff and make it easier for owners to live within their means and to limit their environmental footprint," Hill wrote in The New York Times in 2013. The 350-square-foot SoHo home is the second Hill has renovated in the same building, according to Forbes. The other unit, a slightly more spacious 450 square feet, sold in 2014 for $790,000. For Hill, Americans simply don't need so much space. "Americans are using three times as much living space today as they did in the 1950s. Even with all this space, we're supporting a 22-billion-dollar personal storage industry. I see a home like this as a compelling alternative to the status quo," Hill told Dwell magazine in 2012, referring to the first apartment he renovated in at 150 Sullivan Street. Here's a look inside the tiny yet functional home in SoHo. Copyright © 2015 Bennett, Coleman & Co. Ltd.